When you’re on vacation, the last thing you want to worry about is what’s going on at home. 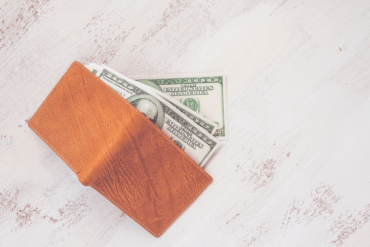 Unfortunately, nagging worries about burglaries, bad weather, and other events prevents many homeowners from enjoying themselves on vacation or focusing on business trips. Thanks to the web of connected devices known as the Internet of Things (the IoT), Vivint can help ease those fears. We offer a variety of smart home automation and security solutions perfect for traveling. Read on to learn more. A Vivint smart security system can help ensure your home is safe from intruders while you’re away. The standard Vivint alarm system can notify authorities if someone breaks in, and security devices such as smart locks, smart lights, and connected cameras can add an additional layer of security while giving you control from anywhere in the world. With smart door locks, you can double-check that you locked the doors when you left. You can also let in pet sitters or other trusted guests without making and giving out copies of keys (which can easily get lost or stolen). Smart lighting makes your home look occupied while you’re away, reducing the chance someone will attempt a break-in. Door sensors and glass break detectors provide additional security for your home. And smart Wi-Fi cameras allow remote monitoring of your home anytime, anywhere. Using a simple smartphone app, you can check in on your home and make sure everything is just as you left it. Vivint’s advanced smoke detectors will alert you if a fire breaks out in your home while you’re away. If you have a remotely monitored system, our 24×7 monitoring reps can also alert the authorities for you, so help will arrive as fast as possible. And thanks to the benefits of smart home automation, your Element thermostat can turn off the air to prevent spreading flames, and your doors will unlock so the fire department can get in. Any time you leave your home for an extended period, dozens of small worries can creep into your mind. What if you left the lights on or the garage door open? What if you left the air conditioner running? Do you have any deliveries coming that might be sitting on the porch? Vivint can help ease these concerns with a variety of home automation and smart home technology. For example, you can control your home’s smart devices remotely, no matter where you happen to be. 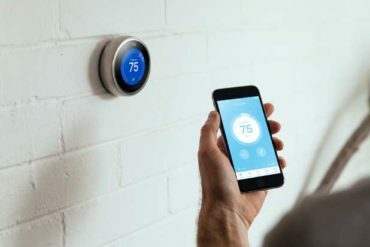 Vivint Element smart thermostats allow for temperature control from your smartphone, and can also detect when you’re not there and automatically adjust the settings to save energy. You can also control your lighting remotely and set up schedules to make it look like someone is always home when it counts—no more leaving a light on the entire time you’re gone, wasting electricity, and clueing in savvy burglars. You can even use your existing lamps and lighting with Vivint Lamp Modules and smart plugs. Vivint smart home systems also work with devices such as the SmartThings hub and SmartThings app, allowing you to use your preferred system to control your smart devices more easily. If your home will be used as a rental property while you’re away, your worries can be even more intense. How will you monitor the guests and the condition of your home? Vivint and Airbnb have partnered to help ease these concerns and provide both guests and hosts with the best, most secure experience possible. Guests can enter your rental property without needing a key, thanks to Vivint smart locks and unique Airbnb security codes. You can greet guests and welcome them to your home directly using the Doorbell Camera and built-in two-way voice feature. Smart thermostats even keep the home automatically adjusted to reduce energy consumption when the property is empty. Most importantly, Vivint’s 24×7 monitoring can keep your house and its occupants safe from a variety of threats, including fire, burglary, and carbon monoxide. Your guests can rest easy knowing they’re safe in the event something happens, and you can relax and enjoy the time away from home knowing your property is protected. Vivint’s powerful home security solutions and smart home technology allow you to travel with ease. Smart devices give you remote control of your home from anywhere in the world, and advanced security systems and mobile notifications alert you—and authorities—if something goes wrong. You can rest assured your home is in good hands with Vivint.